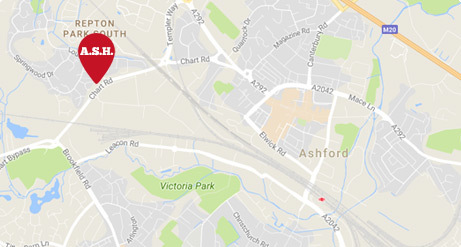 Brakes, Clutches, Exhausts, Cambelts: you name it, Ash's Ashford workshop can fix it! Our experience technicians can arrange repairs on most types of car and light commercial. Everything from alternations to brakes, clutches to drive shafts. Please contact us to arrange a free estimate and do a professional repair. Lubrication service, plus air filter change, spark plugs and fuel filter. Visual check of major components – check retention alternator belts etc.check brakes, steering, suspension & emissions, clean engine and road test. We test on-site with no Retest Fee! Light Bodywork repairs undertaken, wings, doors, arch’s, bumpers etc. Crash damage repairs – we can assess damage and advise on costings – private and insurance work undertaken.